Think you’ll be bored on Christmas Break? Come to the library, we have fun things planned for you. On Thursday. 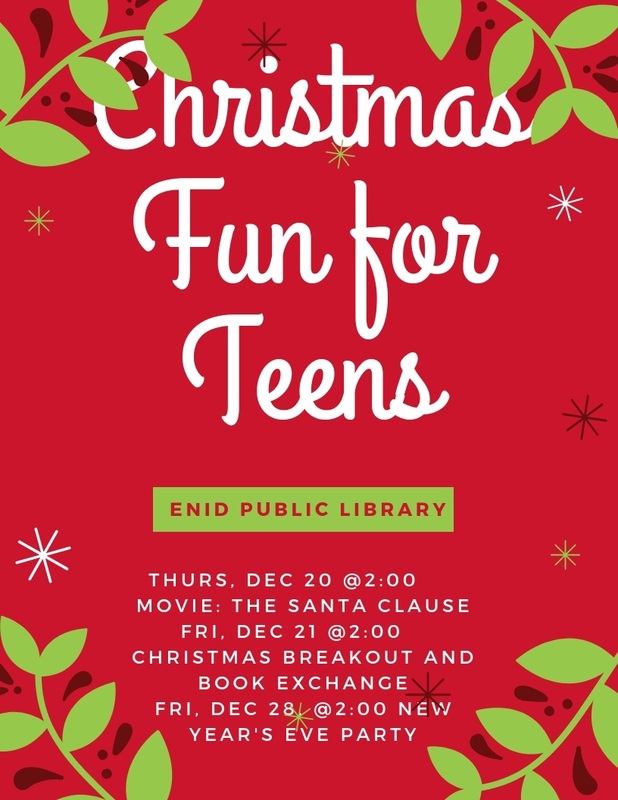 December 20, come watch “The Santa Clause” with Tim Allen at 2:00. The movie is rated G, so the whole family is welcome. 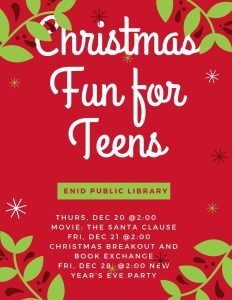 On Friday, December 21, at 2:00 it’s a Christmas Breakout and Book Exchange. solve the puzzles and get Christmas treats. Bring a new or gently used wrapped book for a Dirty Santa game. Make sure the book is appropriate for teens. The library will be closed on Monday and Tuesday, December 25 & 26, On Friday, December 28 at 2:00 it’s an early New Year’s Eve party, snacks and games and fun for teens. Hope to see you there.